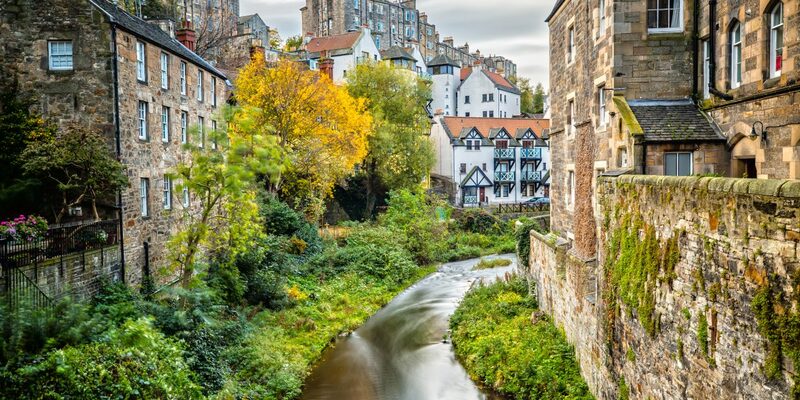 From its storied pubs and narrow lanes to its picturesque Georgian townhouses and hilltop castle, Scotland's tiny capital has charm to spare. The best way to take it all in? 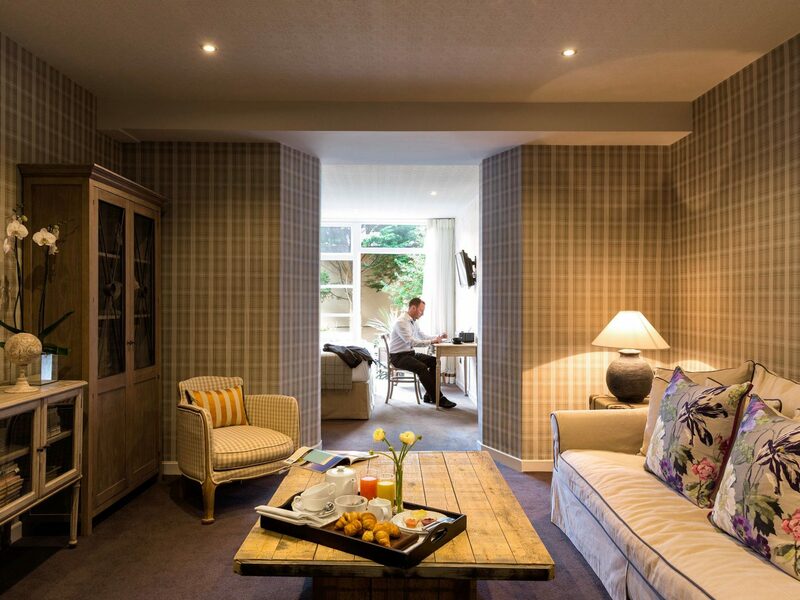 Hole up at one of these nine stays—they're the the best in Edinburgh. It’s easy to assume this converted Georgian townhouse, on a quiet cobbled street near Charlotte Square, would go the tartan-and-tea route. Think again. 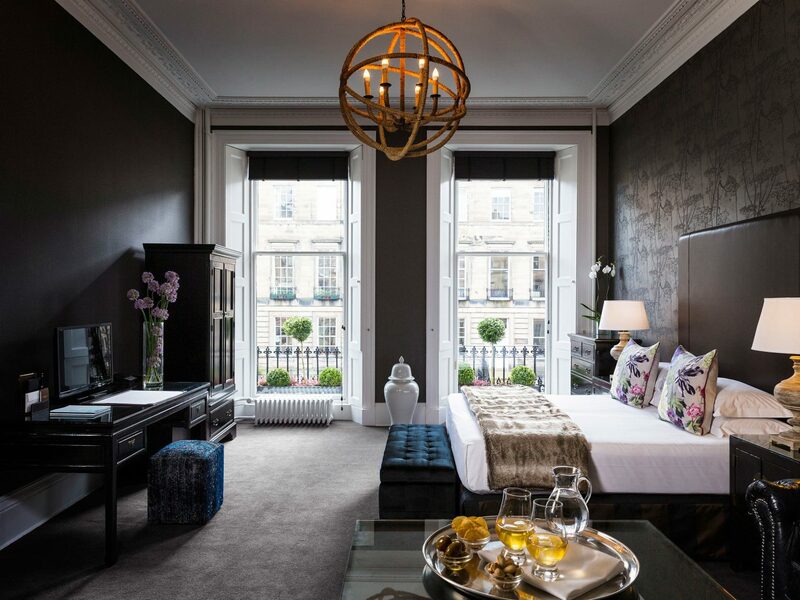 Black and gold dominate the 30 guest rooms, which contain a smattering of dark, bold prints and Chinese antiques and are large enough to think you might have been upgraded. 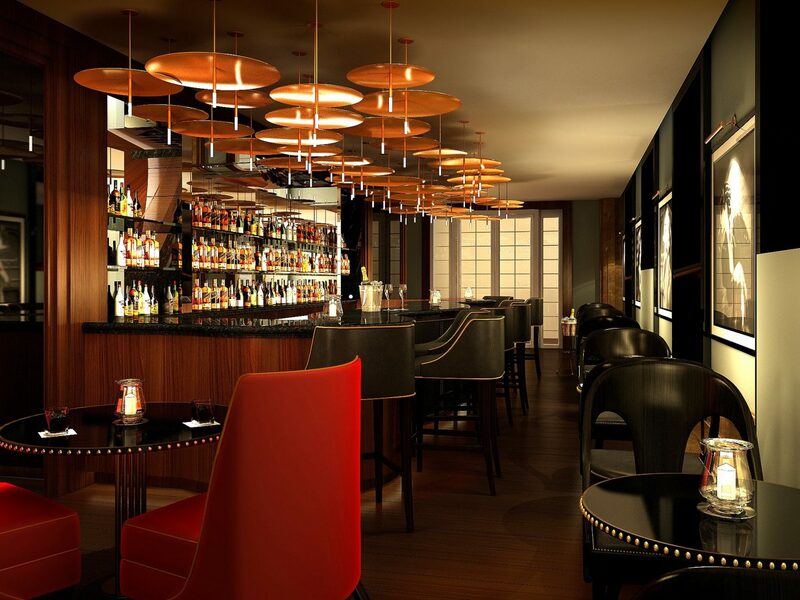 The restaurant, Blackwood’s Bar and Grill, is just as glamorously moody—think Venetian mirrors, silk-draped chandeliers, and chairs upholstered in black tufted velvet. 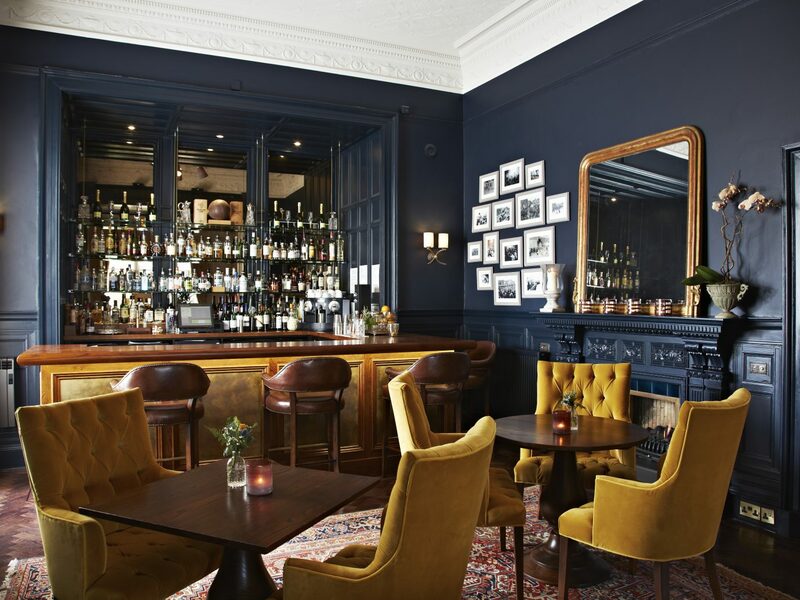 The next-door parlor is more traditional, serving full Scottish breakfasts in the morning and cocktails later on. 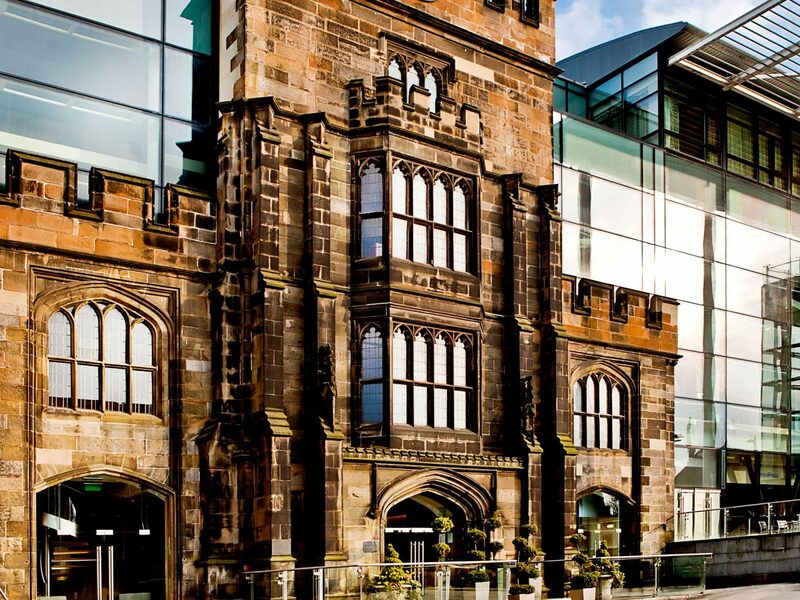 Gothic architecture and modern design collide at The Glasshouse—a 19th-century converted church turned boutique hotel located just off Princes Street. You can still see remnants of the past in the old stone left behind, but everything else (like the the name suggests) is glassy and contemporary, from the guest rooms with their floor-to-ceiling windows and glassed-in bathrooms with heated floors to the Snug—a lounge and bar with skyline views and an open fire—to the two-acre roof garden overlooking Calton Hill that’s decorated with white fiberglass deck chairs and a lovely garden. 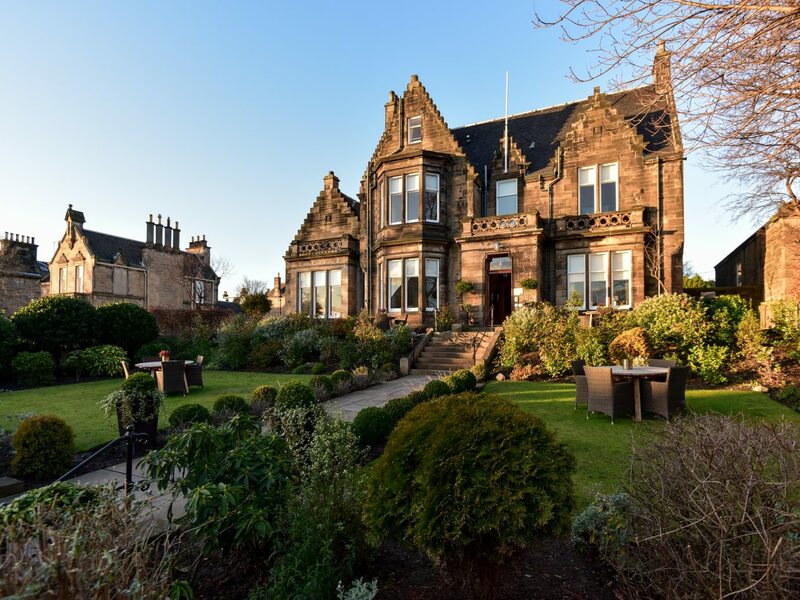 Leave time to explore the palace of Holyroodhouse and St. Giles’ Cathedral, both of which are within walking distance. 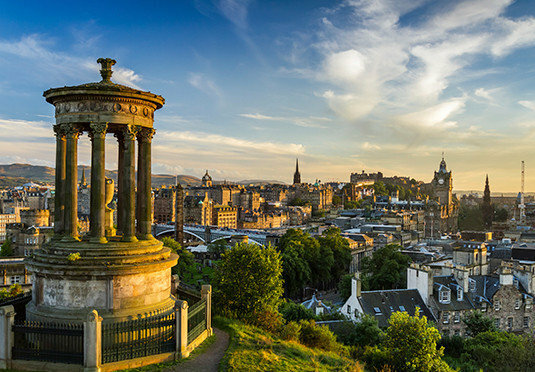 It’s impossible to miss Edinburgh’s most famous hotel, whose striking 190-foot clock tower has become an integral part of Scotland’s skyline. 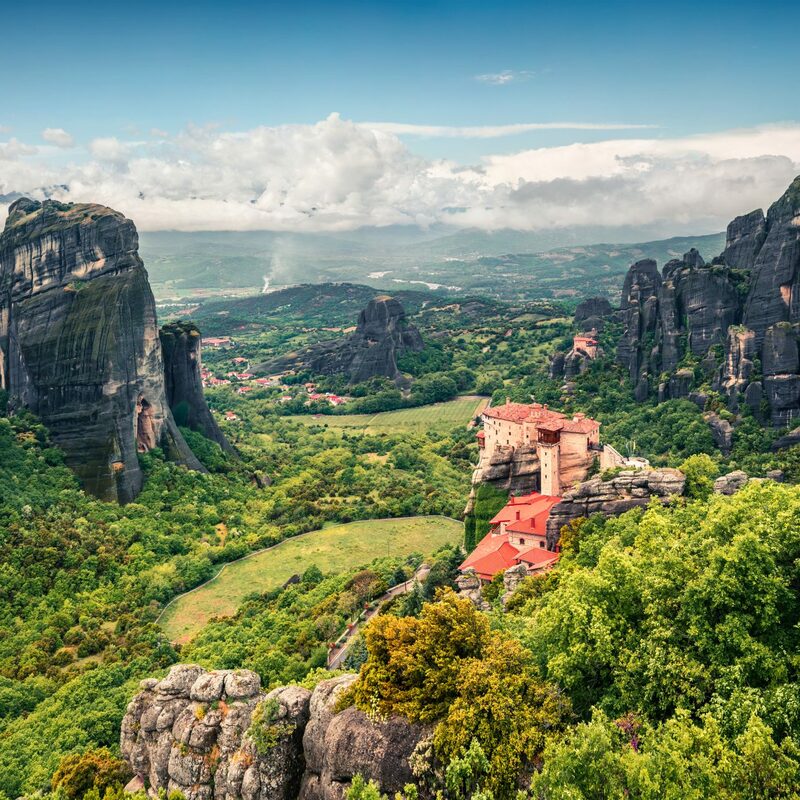 Despite having opened in 1902, the city’s original grand dame hasn’t missed a beat. 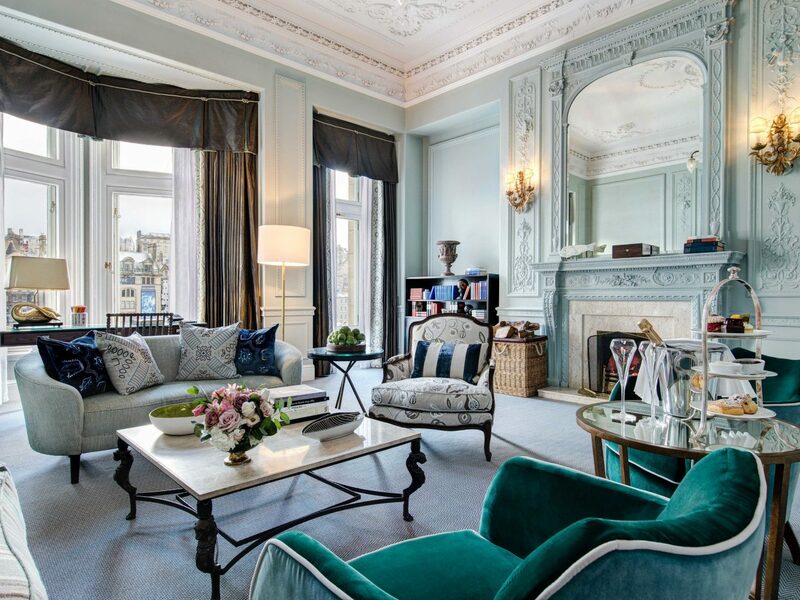 The lobby, with its kilted doormen and turn-of-the-century antiques, is as transportive as ever, while guest rooms (following a multi-million-dollar makeover overseen by Olga Polizzi) are the definitions of style and luxury with their Scotland-inspired hues (heathery purple, lichen green), antiques, and castle views. 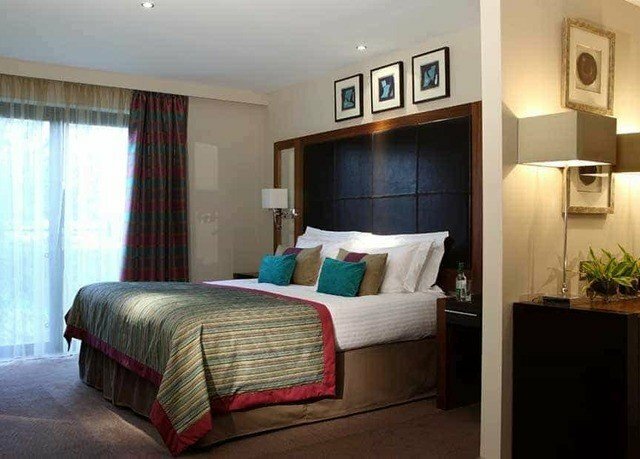 (For a hefty sum, you can even book yourself into the suite where J.K. Rowling finished her last Harry Potter book.) 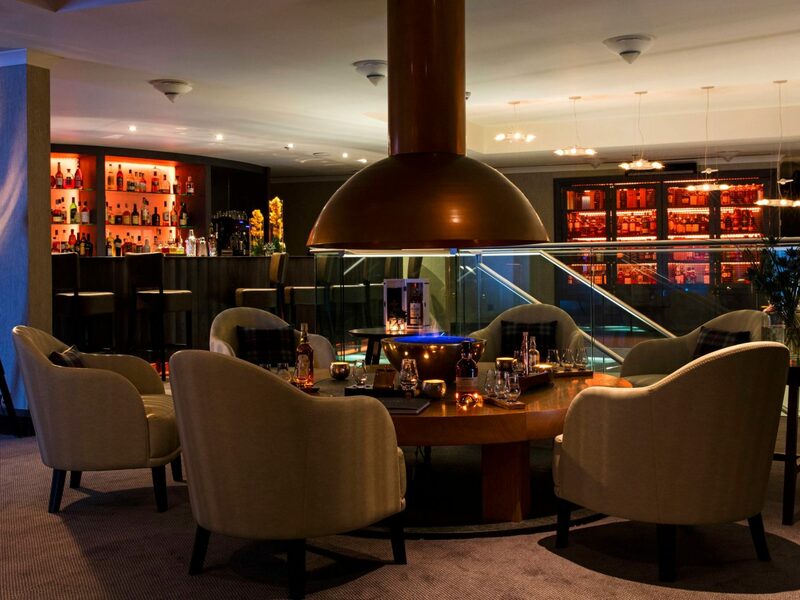 Looking for a Michelin-starred restaurant, airy Palm Court, basement spa and pool, and whiskey bar? Check, check, check, and check. Stepping inside the Witchery feels like crossing the threshold of Edinburgh Castle—except this hodgepodge of 16th-century townhouses sits in the looming shadow of its lofty neighbor. 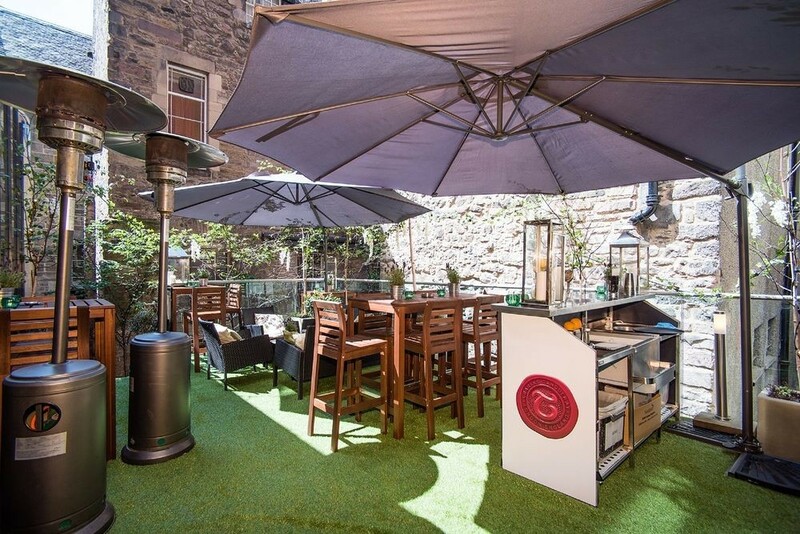 That’s exactly what owner James Thomson intended when he bought and renovated this restaurant-inn, now one of the most romantic hotels in Edinburgh. A staircase threaded through a stone turret leads to nine suites, all lavishly decorated with Gothic overtones—think tapestries, open fireplaces, roll-top baths, four-poster beds covered in dark velvet and brocade, and even a suit of armor or two. Even if you can’t secure a reservation (rooms are often booked up months in advance), it’s worth coming here just to experience the restaurant, which is also decorated with its fair share of wood paneling and candlelight. 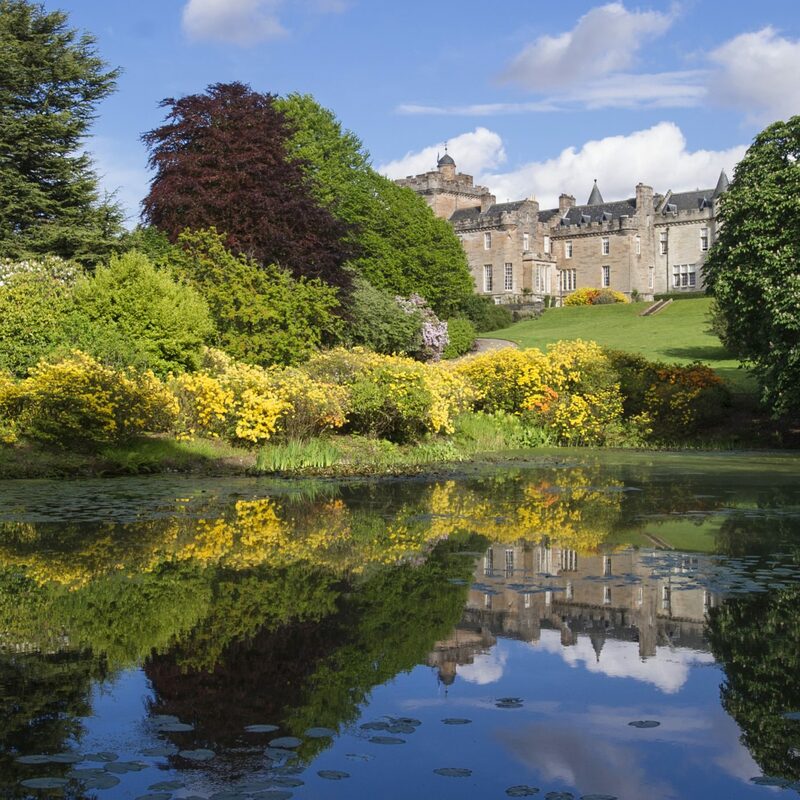 RELATED: 8 Romantic Weekend Breaks to Take in the U.K. This 1905 turreted baronial building at the end of North Bridge has come a long way since it served as headquarters for the Scotsman newspaper. 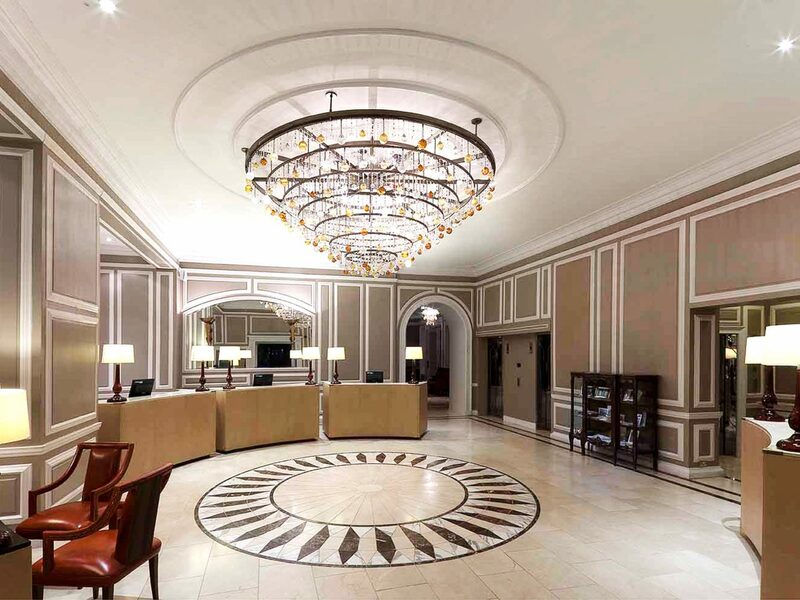 Although a restoration saved the most important details—including the original marble staircase and oak paneling in the lobby—guest rooms are more classic, with floor-to-ceiling windows, white and gray marble bathrooms, and (a nice touch) a free copy of the daily Scotsman. 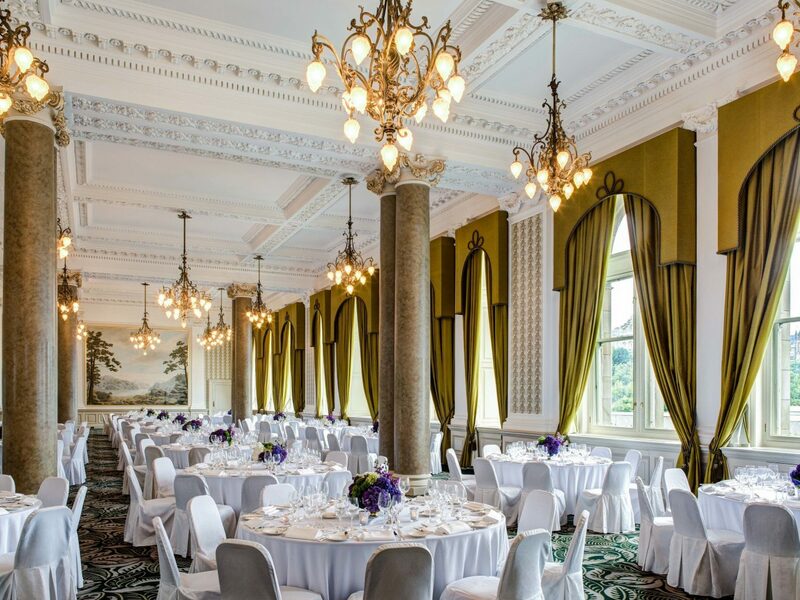 The Grand Café, which occupies the former advertising hall, is one of the city’s most impressive venues, a double-height ceiling supported by green marble pillars and a seasonal all-day menu at spotlights Scottish producers. Despite its rather sedate Georgian townhouse façade, this New Town newcomer couldn’t get any hipper—and in a city full of mahogany paneling and tartan everywhere, that’s just fine by us. Guests check in at the ground-floor café Hyde & Son before being shown to their Airbnb-like apartment-style digs, which are decked out in bright pastels (mostly mint and millennial pink), kitchens with Smeg cookers, and guides listing trusted nearby grocers. The lounge is just as whimsical (and photo-worthy), with its rag rugs, wicker chairs, and tropical plants—but the café is where it’s at come downtown, when it transforms into a bar complete with a DJ spinning soul and funk tunes and local microbrewery labels on tap. 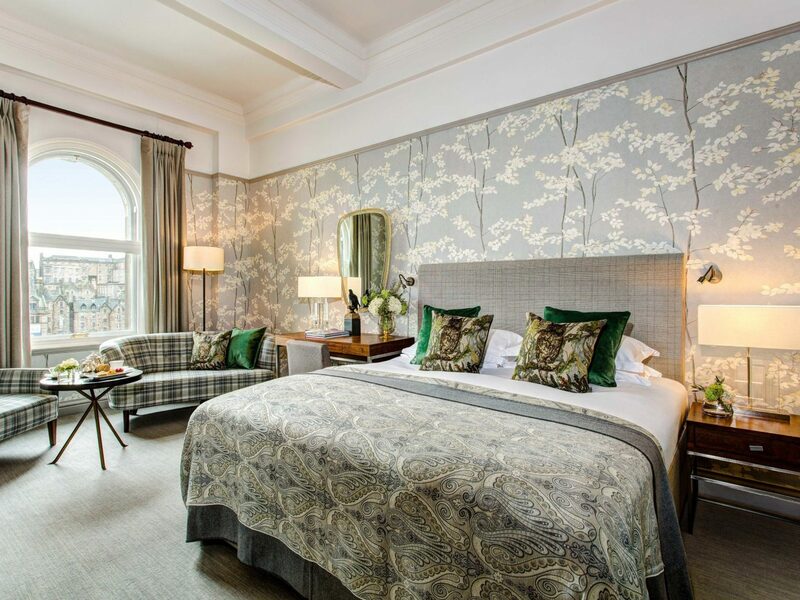 Leave it to the Waldorf Astoria brand to make one of Edinburgh’s most beloved railways hotels even more luxurious. 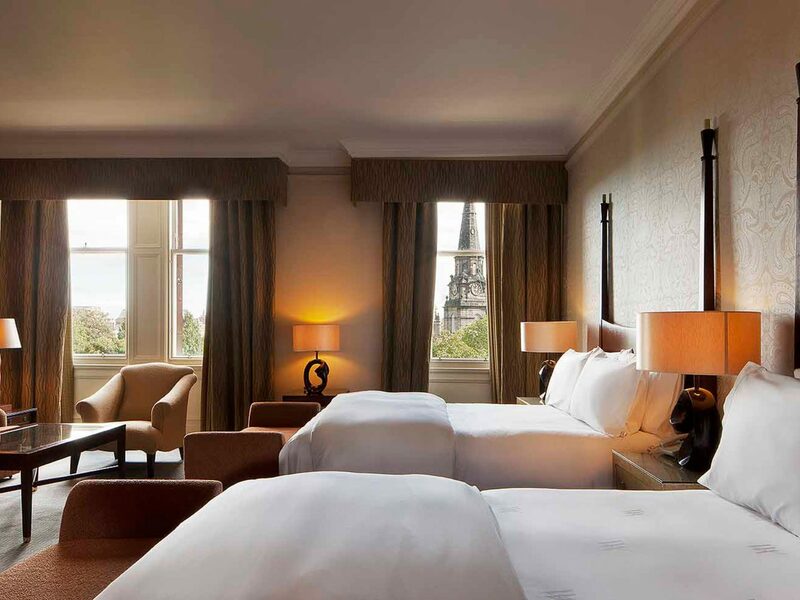 The 1903 landmark now known as the Caledonian deftly marries its roots with its renovation: the original red sandstone interior and marble lobby's chandeliers and restored central staircase are as beautiful as ever, while updated guest rooms are elegant and comfortable with high ceilings and views of the castle. 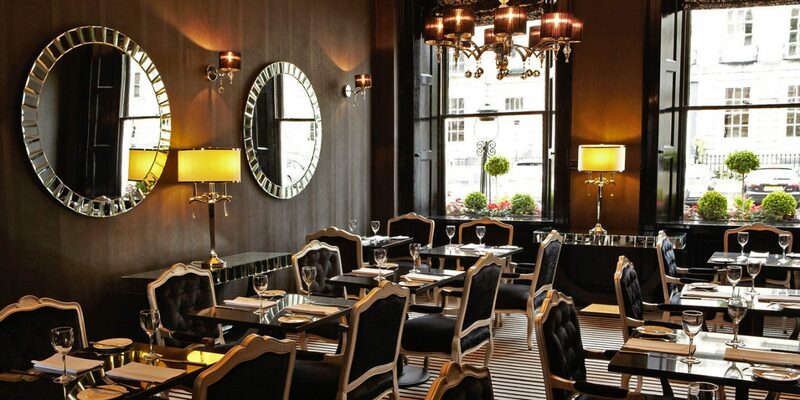 You’ll find a Guerlain Spa (this is a Waldorf, after all) as well as a bistro-style brasserie and more formal Pompadour by Gavin—both of which spotlight French-inspired Scottish cuisine like lasagna of North Berwich Crab and langoustine bisque. The place to be seen is Peacock Alley, the station’s former ticket office turned lobby lounge (complete with the original Victorian clock) where guests take their tea and cocktails. 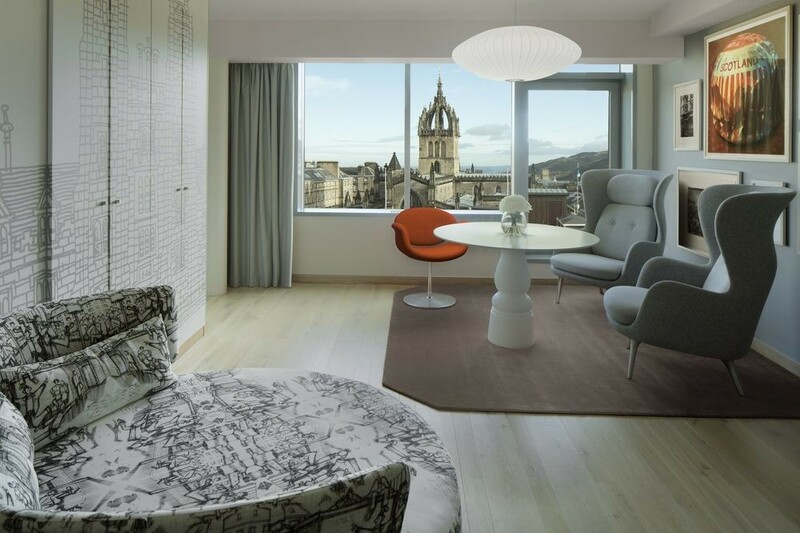 Situated between George IV Bridge and Victoria Street, this refurbished boutique, formerly a Missoni, is—amazingly—the only five-star hotel on the Royal Mile. 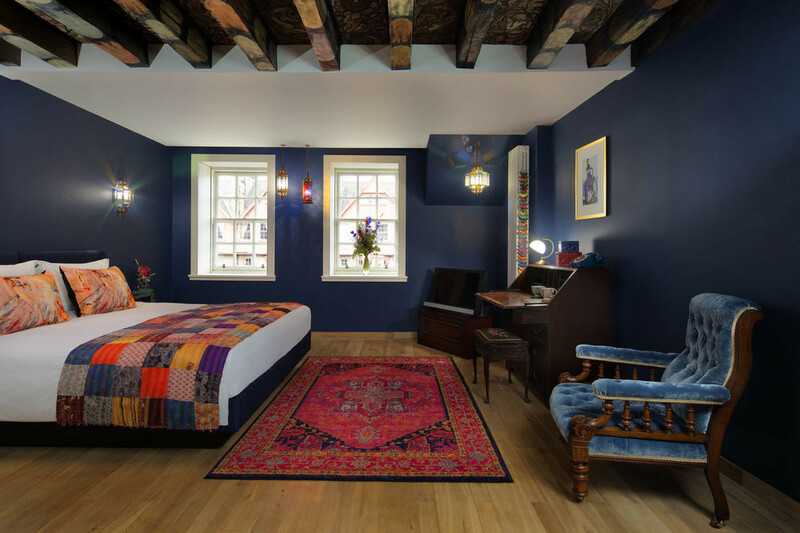 Sophisticated yet trendy rooms (patchwork quilts, walk-in rain showers, skyline views) come in ‘Petite,’ ‘Signature,’ and ‘Deluxe,’ while eclectic suites were individually designed by Scottish artists and fashion and textile designers. 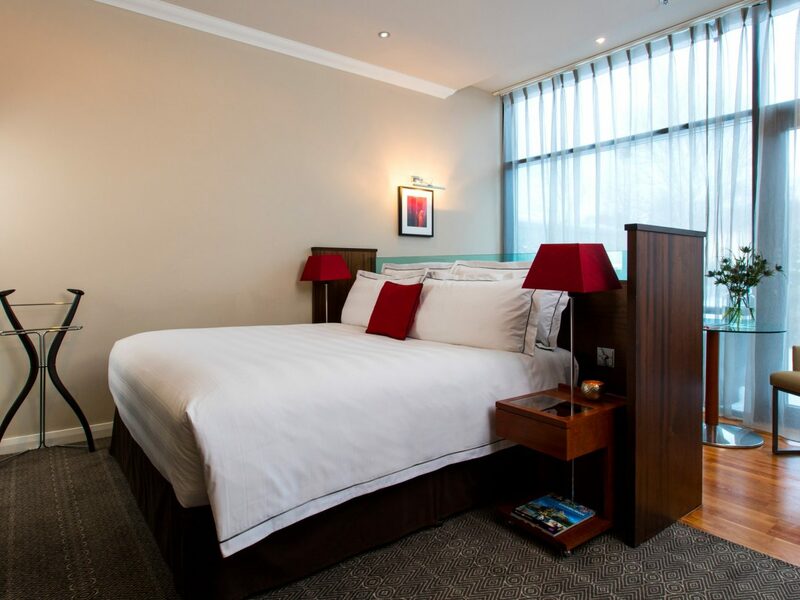 Though you’ll find lots of vibrant colors and avant garde artwork, the hotel does nod to its Scottish locale—just take a look at the doormen dressed in designer kilts. 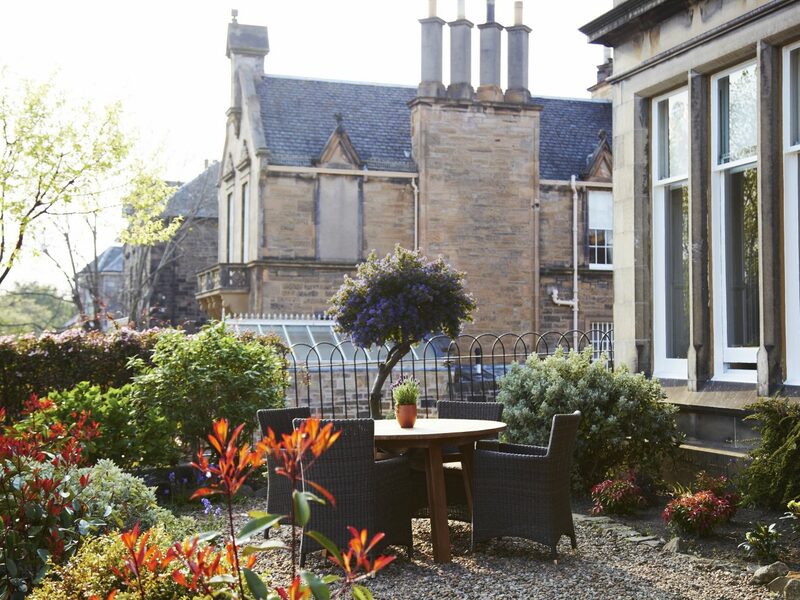 Forgoing a stay in the city center is worth it for a taste of the Dunstane Hotel, an 1860s Victorian townhouse in Edinburgh’s West End that feels more like a country-house escape than anything in the suburbs. 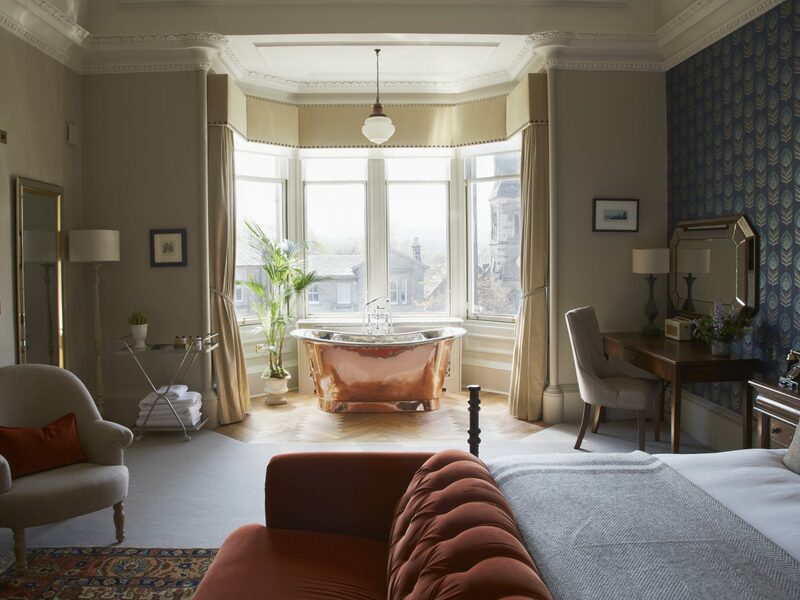 The owners, who are from the Orkney Islands, brought in touches of home: you might find freestanding copper bathtubs, velvet sofas, fringe wool throws, or peacock-printed wallpaper in your guest room (there are just 16 in all), while the Ba’ Bar downstairs churns out Cullen Skink and Ayrshire pork to pair with something from one of the most impressive whiskey and gin lists in the city.